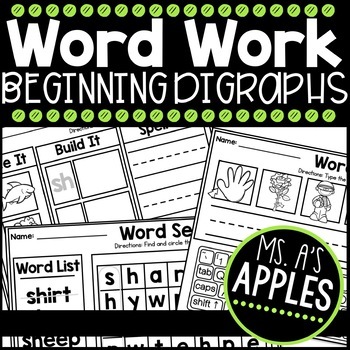 This "Word Work; Beginning Digraph" product is an interactive, engaging and hands-on approach to learning and practicing seven different Beginning Digraph word families! Each activity sheet focuses on specific word families while providing periodic reviews as well as unit overviews to ensure mastery. Explore this product with a Free Sample. Save money when purchasing the Word Work the Complete Bundle!